This Festival was created by the London DJ Gilles Peterson who named it after his radio broadcast with the BBC. The Worldwide Festival is starring well-known DJ as well as new talents. Within 10 years this Festival grown up in size to become a sort of giant club without comprising quality over quantity. It takes place on the stunning site Theatre de la Mer, with a vantage point over our beloved Mediterranean sea. This is definitely where to go partying after a long day at the beach. Live acts will warm up the evening before the dancefloor take over this long night of rhythm and partying. Running since 1985 The Jazz à Sète Festival is held each July in Sète. 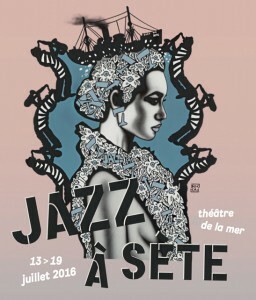 With the Theatre de la Mer as the main site its program includes several jamming on the beach, free concerts in the bars and paying venues with newcomers and famous artists.